Running an email marketing campaign is a proven way to establish brand awareness and online presence. A structured and effective email marketing approach can lead to increased website visits, that in turn leads to improved sales conversions. However, like any form of marketing, incorrectly using email marketing can result in losses. If you want to maximize your first email campaign, you should know the basics. Some businesses use simple email platforms to do the work. If you want to track click behavior and reach all your subscribers though, get an email campaign system. 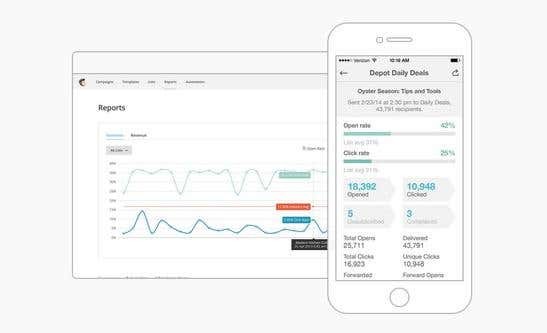 With this type of software, you can monitor email opening rates and collect other valuable data that you can use to improve future email campaign efforts. MailChimp – A straight-forward web-based email marketing provider, MailChimp offers free services for websites with less than 2,000 subscribers. There are other pricing options like Monthly Plans and Pay As You Go to fit your budget. Vertical Response – Allows you to send invitations, newsletters, and more to your subscribers. One of the notable features of this platform is its responsive template design. This means you don’t have to code your email for it to look great on handheld-devices like phones or tablets. Vertical Response will make the automatic adjustments to your email. iContact – The top email marketing program according to Toptenreviews.com. iContact is an easy to use platform with premium features like Google Analytics Integration. You can use the tool’s MessageBuilder or MessageCoder to create emails. You can also upload and organize your subscribers thanks to iContact’s content management system. You can segment your clients according to age, geographical location, and more. An auto-responder tool is also provided. Who should you send your email campaign to? The most logical answer is your customers. To collect customer data, you can set up an email signup pop-up and form on your website. Some businesses manually or automatically scrape client information from other websites. Unfortunately, if you do so, you won’t get the most out of your email provider. MailChimp and other email campaign platforms prevent using scraped data. Once your list is prepared, the next step is to create your campaign. If the purpose of your campaign is to encourage purchase, make it a habit to include the product name or deal in your email’s subject line. Remember, about 1/3 of emails are opened because of attention-grabbing subject lines. As much as possible, don’t use repetitive titles and be creative. If you want to assess your email marketing efforts, make sure to turn on your system’s tracking feature. You will able to determine how many people clicked your email, and how many opened the links in your email. This feature is vital in determining what works and what doesn’t in your campaign. 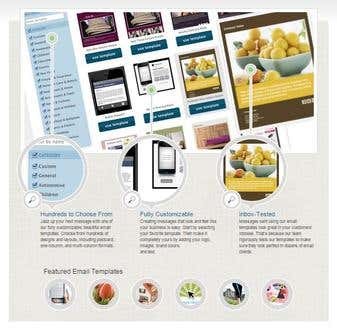 Predesigned templates are already available for most email marketing platforms. To make your email standout, make sure to tweak the template according to your brand’s color theme. Don’t forget to include your business logo as well. If you want an original layout, you can hire a freelance graphic designer. As for the content, focus on images and short paragraphs. Also incorporate links to your email to increase website visits. Make sure to read through your email before sending it to your subscribers. You can ask for someone else to review the content. Also double check your email’s format using your cell phone or tablet. 64 percent of consumers read their emails by using their mobile devices. If it is not readable, go back to the drawing board and correctly format your email. Time is an important factor in an email marketing campaign. It's best to email buyers at night because they are most likely opening their personal email accounts. If you are sending emails to businesses, you can get higher open rates in the morning. Your work isn’t done after sending your email to your customers. You need to analyze the gathered data of your email software. The results, no matter how low the open rates are, will allow you to create a more optimal marketing email approach. An email marketing campaign might seem like it is only for big and established e-commerce companies, but it can also work for businesses in any size and industry. Remember, a successful email marketing campaign is a result of a trust-based connection between your business and your customers. Creating and building deeper and long-lasting relationships with your customers can drive traffic, increase sales and establish brand awareness. How Can I Improve My Profile Image?